Let me guess, you have trouble falling asleep and staying asleep. You have an ongoing to do list running through your head and you are constantly forgetting to do things. You lose your car keys, dream abut taking naps and reach for junk food when stressed out. You alternate between a backache, stomachache or headache. Something is usually aching! You can’t remember the last time you did something for yourself or had a girl’s night out. Over the weekend I went to the Pump and Dump show where they brought two friends up on the stage. They asked about their friendship story and they shared that they have been really good friends over the past six years raising their kids together. When they were asked the last time they went out together they looked at each other and laughed, “this is the first time!” While the audience also broke out in laughter, I knew deep down that this is the case for more women than we think. Under the stress of parenting, we let ourselves, our friendships and our relationships go. We either don’t give them enough time, we say we are too busy or we think that “someday” we will get back to them. However, the research on women and happiness shows that we can’t just let these relationships go and think that one day, when our kids are older, we will just pick up the pieces from where we left off. Our bodies aren’t the same, our friends move on and our intimate relationships may not survive being on a hold for years. 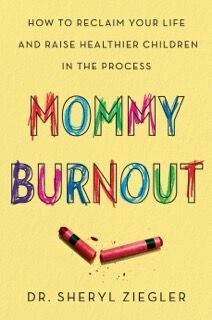 Preventing burnout in motherhood is a goal we may not even think about as we parent our way through these always on, digitally connected, yet more emotionally disconnected times. 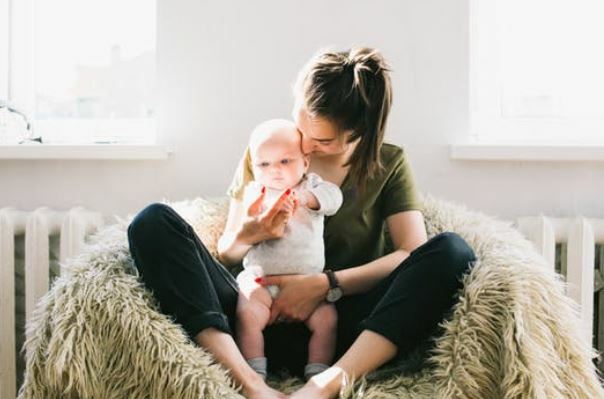 So, whether you are feeling stressed out, burned out or pretty good, here are some tips to prevent chronic stress from turning into burnout and taking away your joy in motherhood. Know your stress style. Do you flight, fight, freeze, tend or befriend? Knowing how you tend to respond in the midst of stress can provide you a window into how you are really doing and how those around you might be responding to you as well. If you tend to flight (avoid conflicts and not want to deal) that is a good indicator that you may want to notice the next time you go into avoidance and deal with the stress head on. Get to the bottom of what’s causing your ailments. Are your physical pains more medical or emotional in nature? If you have nagging pain and aches in your body start by getting them checked out by your doctor. Yes, make an actual appointment for you to have yourself checked out. If a physical root cause cannot be found, consider talking to someone about stress management techniques. Start a self-care practice on a regular basis. Keep in mind the visual of the mother putting an oxygen mask on first before putting it on her child. One of the things that teens report these days is that they have limited coping skills. It is so important that we are coping with our own stress in healthy ways so that our children can also learn from us. If we mindlessly scroll through social media or drink wine to deal with life our kids aren’t learning how to deal with their stress. There are so many ways to take care of yourself that don’t cost money and that you can make time for every day. Consider taking walks, having a friend date night, finding time to read a book, or take a painting class. The point is doing something for yourself is healthy for yourself and then for those around you. The best part of these tips is that they don’t cost money, they are achievable and they are all about you! For many more tips on how on identify stress and prevent it please check out www.mommyburnout.com.